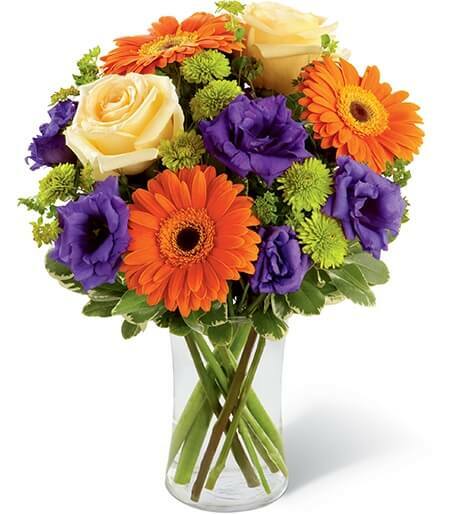 Sympathy bouquets are a bunch of cut flowers that have been arranged in order to give condolences to a grieving person. 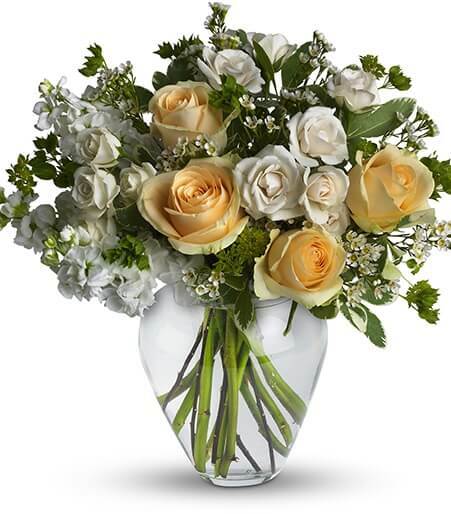 They can be sent to both funeral homes for visitations and services or to a family’s home address after the services have taken place. 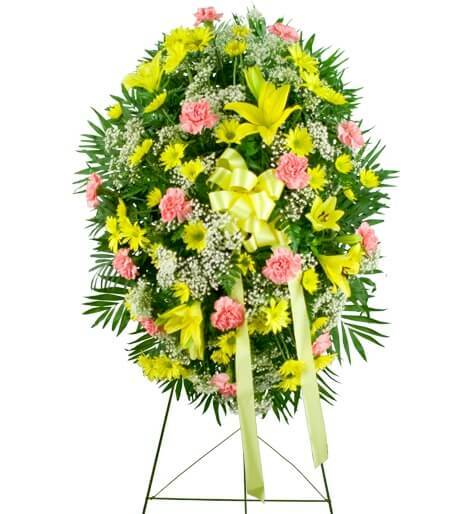 Traditionally any type of arrangement that is on or inside the casket would be sent by the immediate family. 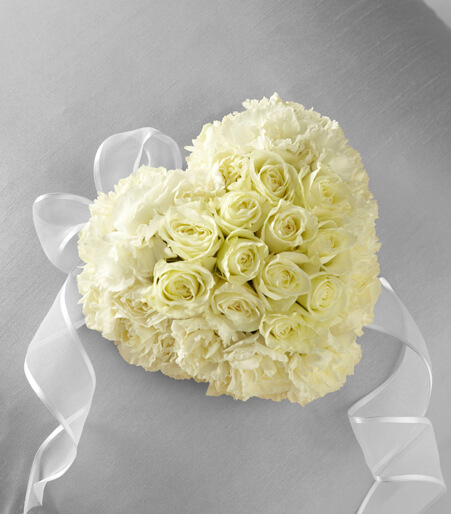 This type of item signifies a close bond that was shared between the person sending in and the deceased. 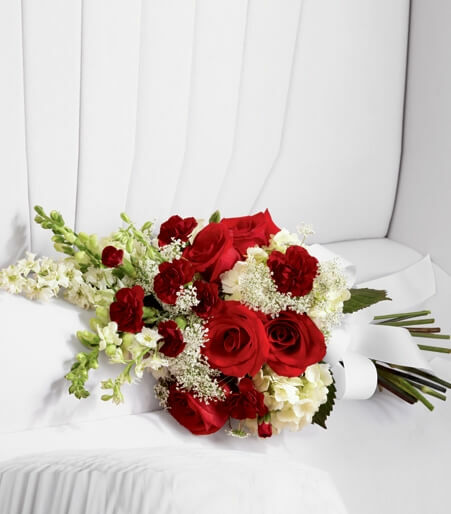 This hand tied bouquet in red and white funeral flowers would be perfect for a father, brother or grandfather. 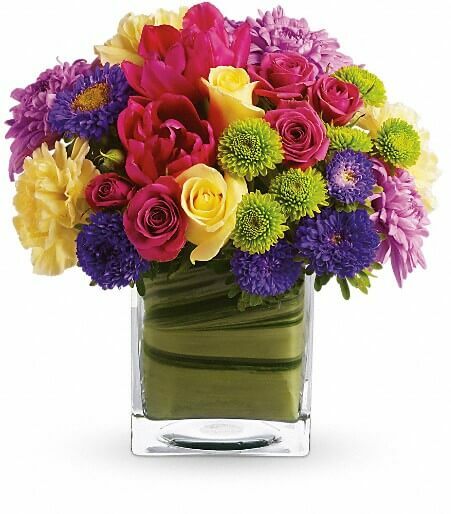 While this hand tied bouquet in all pink funeral flowers would be stunning for a mother, sister, or grandmother. 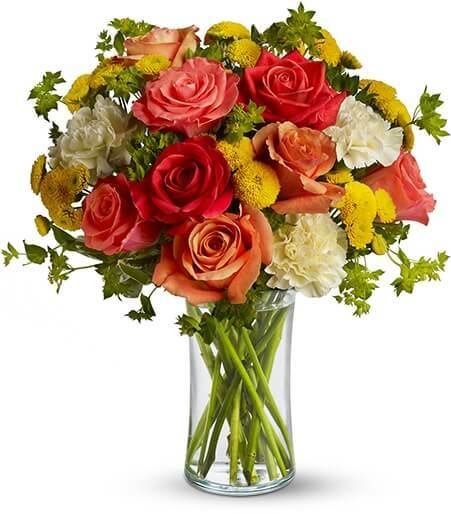 Sending a sympathy bouquet arranged in a vase is an exception option for the funeral home or to the family’s home address. 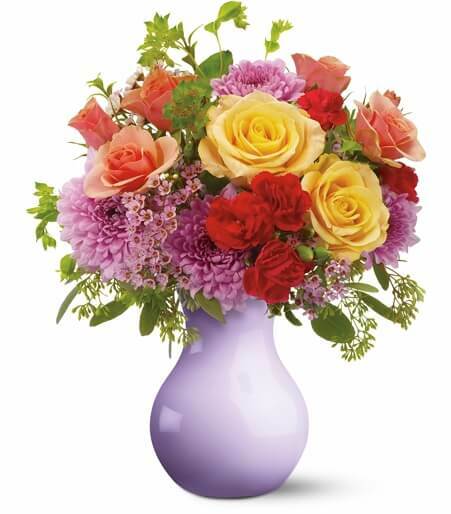 Before sending a vase arrangement to a funeral home you should make sure that the specific funeral home you’re sending to accepts vase arrangements. 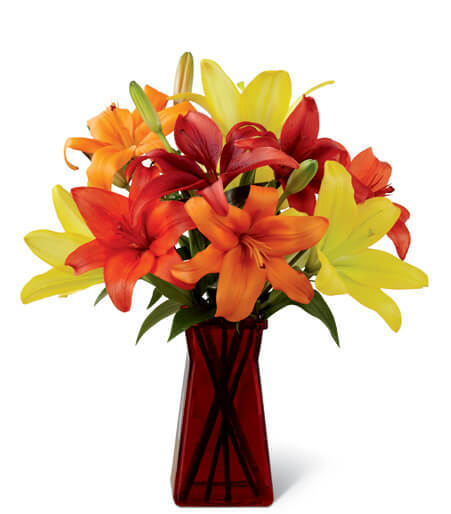 There are some funeral homes that will not accept glass containers. 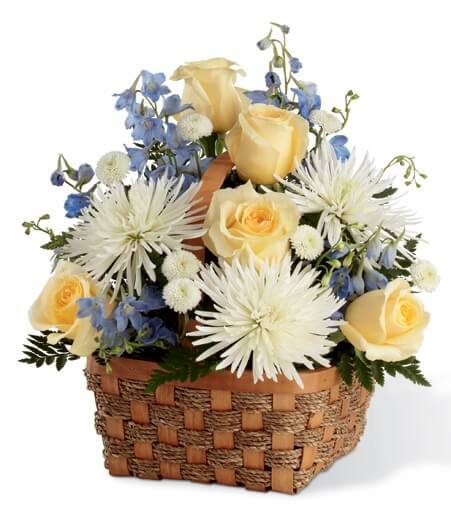 Sending a sympathy bouquet in a basket is also a great option. 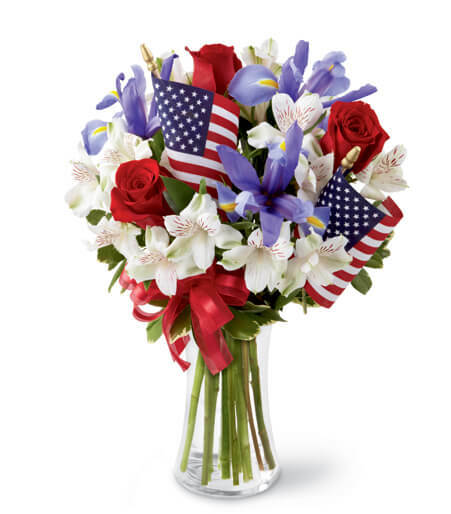 Funeral homes would have no problem accepting these kinds of bouquets. 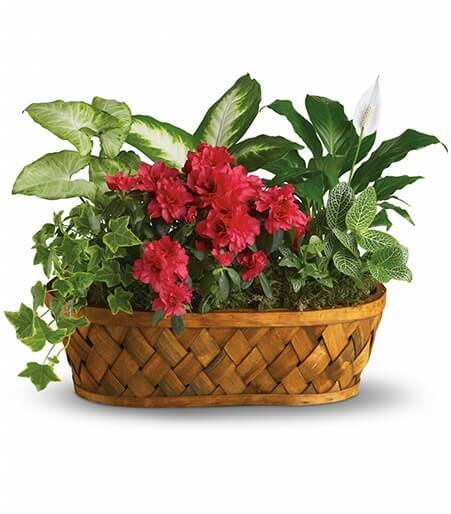 The Heavenly Scented Basket would be perfect to send for funeral services for a man. 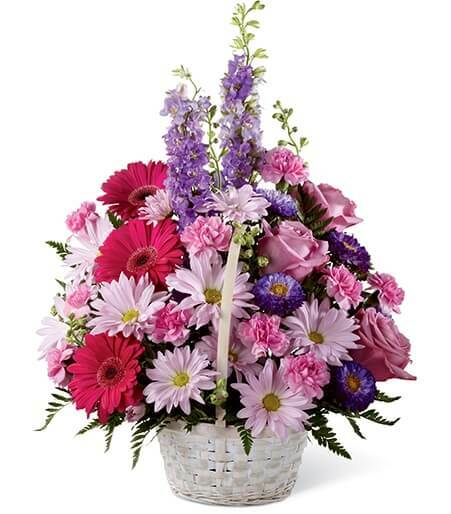 The pastel peace basket would be appropriate for funeral services for women with the mix of pink and purple funeral flowers.